Parents with pushchairs and anyone with mobility issues will soon find train travel to and from Kilmarnock a lot easier thanks to a major engineering project at the town’s station. 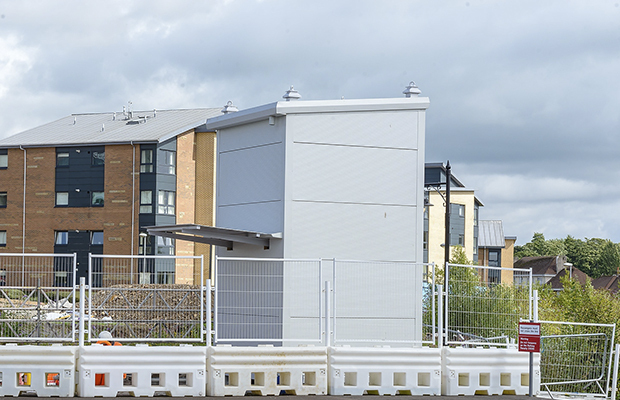 The Access for All project, being carried out by Story Contracting on behalf of Network Rail, will open up a whole new world of access to the Victorian station, where platforms are currently only accessible via a long steep hill or by steps from the newly renovated underpass. 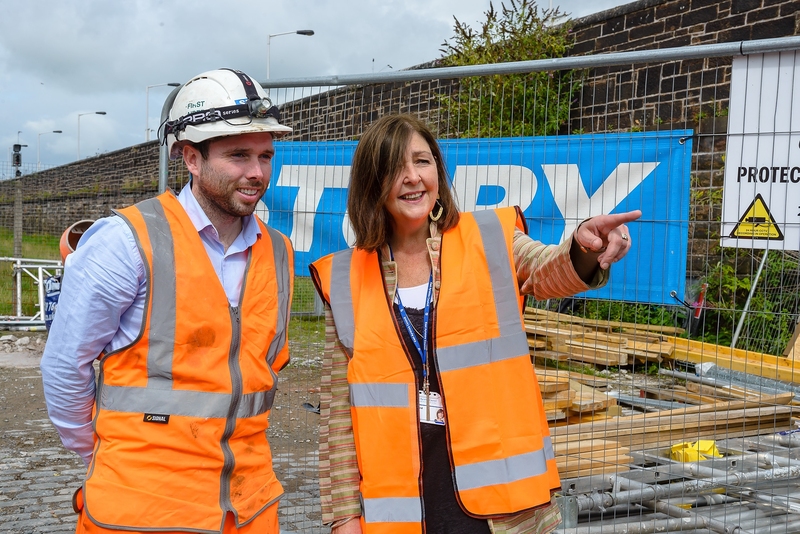 Councillor Clare Maitland, Cabinet spokeswoman for Equalities, Inclusion and Poverty on East Ayrshire Council, has visited the site to see the installation of two new lifts. She said: “For those with young children and mobility issues, access has been a big problem at the station. And in a Victorian building, sitting on a steep embankment, it’s easy to see why there hasn’t been a lift before. Stephen McVey, of Story Contracting, said: “Working in an existing building is always more challenging because you don’t know what you’re going to find. “For the main lift, which is built in a disused store room, and because of the way the underpass was built with a slope and where it is, the door sizes, headroom and width, we couldn’t knock walls down so trying to get machinery in was very difficult. “We ended up having to use a micro-digger which is the smallest excavator you can get. To pile the floor we also had to get a mini-rig in to drive the piles in – everything we usually do but in miniature. “We started in February and we expect to have the new lifts fully operational by Christmas. “As we’ve gone along we’ve discovered other issues with the building which had to be repaired. We’ve fixed anything we’ve found as we found it. That included upgrading the power supply to the whole station, which we needed to do to make sure there’d be enough power to run the new lifts. Councillor Maitland added: “It’s exciting to see such a rewarding project in the making and to understand just how much is involved in making sure everyone can access the station.